Call it a tomahawk. Or a battle axe. Or a feather-decorated foam attacker. Whatever you call it, your kids will have fun with it, and nobody gets hurt. How about that? Cut out your desired blade out of foam. 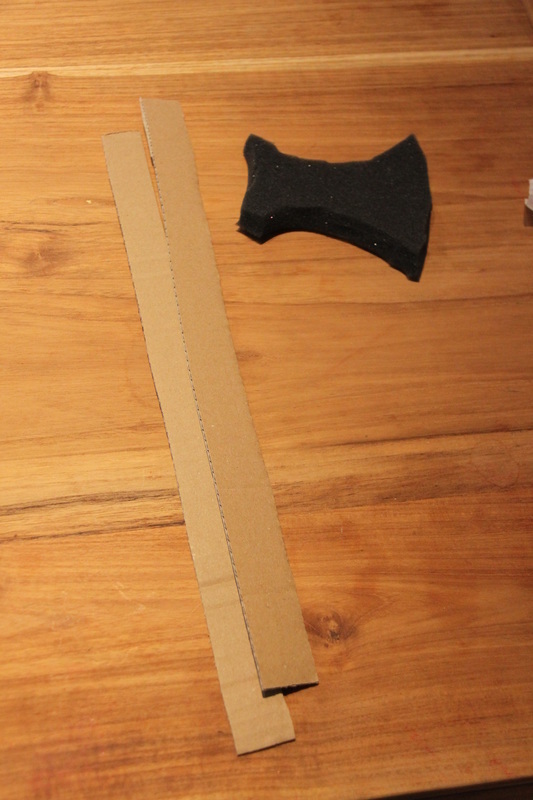 Cut two long pieces out of thick cardboard (packaging box will do). Staple the foam between the cardboard pieces. Cover the staples with yarn. Staple the bottom part of your cardboard handle and cover it with yarn, too. Decorate with feathers and beads and you're ready for a battle!